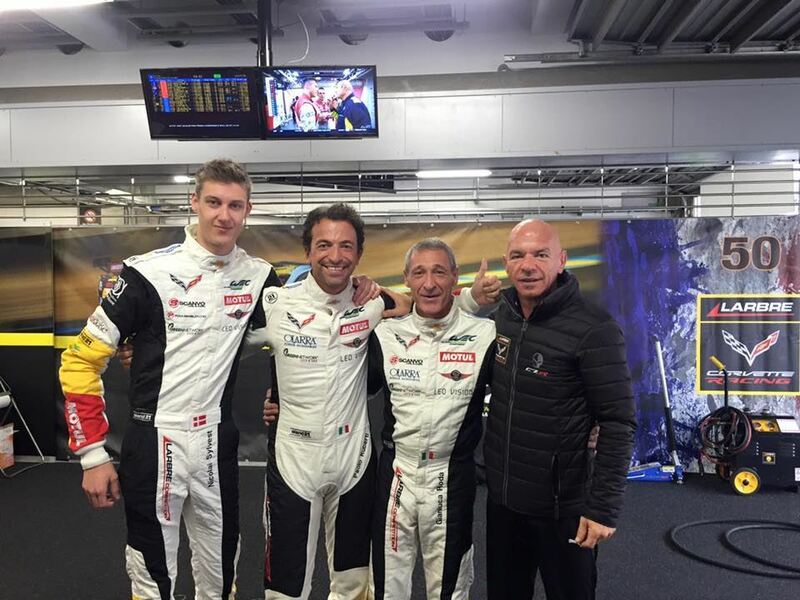 12/10/2015 - Paolo Ruberti had a positive weekend, even though with some regrets, at Fuji's third last round of the FIA WEC 2015. 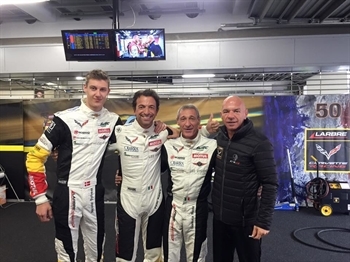 The driver from Verona did not have rivals in qualifying and posted the quickest time of category LMGTE Am, thanks also to the great job done by his co-equiper Gianluca Roda. The pole position was unfortunately voided later on by stewards due to the presence of a safety valve in the power supply that can be used in USA but not in FIA races, even if this did not affect performances. On Sunday Roda defended himself in the first stint of the race keeping the pace of the front runners despite the rain, while in the second stint tyres wear forced him to slow down a bit. Ruberti and Sylvest exchanged at the wheel in the following hours with the objective of getting the podium, but lost some precious seconds during a full course yellow, that was not exploited at best for the pit-stop. At the flag, the crew obtained a positive fourth place that awarded the number 50 Chevrolet Corvette C7 with twelve points. The race was won by Patrick Dempsey, Patrick Long and Marco Seefried (Porsche), with Paul Dalla Lana, Pedro Lamy and Mathias Lauda (Aston Martin) second and François Perrodo, Emmanuel Collard and Rui Aguas (Ferrari) third. "After the pole position on Saturday we were really happy especially as the car was very quick on the dry. Then we had the wet blanket, but the satisfaction was intact as that valve did not produce any gain despite not being homologated for WEC. In the race, despite starting from the back we tried to get the podium and we nearly succeeded; the fourth place was the highest possible result I would say". FIA WEC will get back on track next 1 November in Shanghai (China).